Today’s Madravenspeak is Part 2 of an analysis of the Public Trust Doctrine as a democratizing factor in fighting for democratic reform of state agencies funded on killing licenses as they expand killing exponentially, dropping prices for killing licenses to bargain basement. Trapping will take out the rest of our wildlife for the 1.3 billion Chinese and Russian newly rich. We must stop them now!! The courts are the only place to change course. Please do your part by networking the Madravenspeak column and sharing it on your social network sites and email lists! In 1968, legal scholar Joseph Sax joined a fight against the use of DDT and became intrigued with how a intensely focused single interest often prevails over a majority of people with diverse interests. “While attention is focused on majorities who deal badly with minorities, powerful and organized minorities are having their way at the expense of the majority,” he wrote. A 1979 National Audubon lawsuit opened the way to expand the public trust doctrine beyond public access to navigable waters, to include wildlife, land, air and beaches. Such is the case with Wisconsin’s Department of Natural Resources (DNR), which is squandering our wildlife by presenting them as killing fodder and prioritizing violence on our public lands for the benefit of the few. Comparing hiking and bird watching to killing wildlife is like comparing citizens walking into a public museum to view priceless unique works of art to citizens slashing the contents of the museum and taking art home for private possession. The trapper is destroying forever the rights and access of the wildlife appreciator to their commons. 1. Has public property been disposed of at less than market value under circumstances that indicate there is no obvious reason for the grant of a subsidy? 2. Has the government granted to some private interest the authority to make resource use decisions which may subordinate broad public resource uses to that private interest? 3. Has there been an attempt to reallocate broad public uses either to private uses or to public uses which have less breadth? (the withdrawal of beneficial use which is available to a wide segment of the population). 4. The last benchmark is whether the resource is being used for its natural purpose. 1. First-time trappers can take as many animals as they can kill in six- to seven- month seasons for a $5 license. Even at the $20 regular license fee, the $110,000 paid into the DNR amounts to 19 cents per wild animal killed (over 570,000 “estimated” trapped). The market value of a beaver in 2012-13 was $22.17, opossum, $1.83, raccoon, $15.46; grey fox, $21.90, coyote, $24.24, otter, $85.18; and bobcat $126.60. Total pelt value from that season: $4,505,909.34. That’s quite a subsidy. 2. 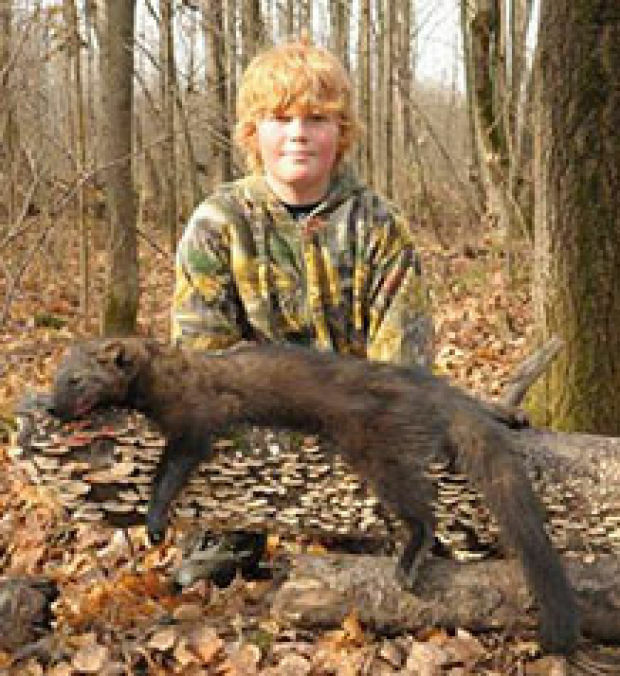 The DNR has granted trappers, a tiny percentage of Wisconsin’s population, a unique commercial opportunity to destroy our commons, subordinating the interests of the 90 percent of the public who are “nonconsumptive.” One could also argue that the government’s granting the “Conservation Congress” sole advisory status has subordinated the general public interest to the hunting lobby. The Legislature giving control of the Natural Resources Board to hunter and farmers can be seen as giving authority to private interests as well. 3. Public lands are devoted to the minority for its destruction of wildlife. Wildlife is afraid of us and lives nocturnally or hidden. Or else they are killed. We who love wildlife have less opportunity to have healthy relationship with our wild neighbors on both private and public lands. 4. The last benchmark is an important one: natural purpose. Beavers, bears, bobcats, wolves, coyotes and otters not serving any natural purpose are expendable. After a thorough exorcism, the DNR needs an infusion of democracy and reverence for life.through the public trust doctrine.